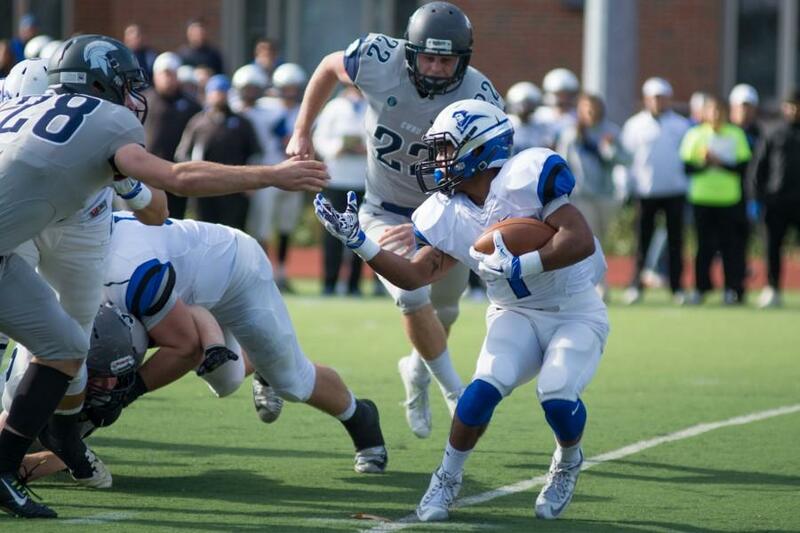 Spartan defender attempts to stop the Thomas More ball carrier. We know they’re only games, that in the big picture their results mean nothing except to those who participate. And yet it’s difficult to not get caught up in the stresses and joys, the pains and jubilations and the agonies and ecstasies of our football team. 2,700 Case Western Reserve University students, alumni, staff and families experience the whole spectrum of emotions during the Presidents’ Athletics Conference (PAC) championship game between the Spartans and Thomas More College. For the Spartan faithful, the game started out well enough. A quick defensive stand against one of the top offenses in the country and a successful fake punt energized the crowd. 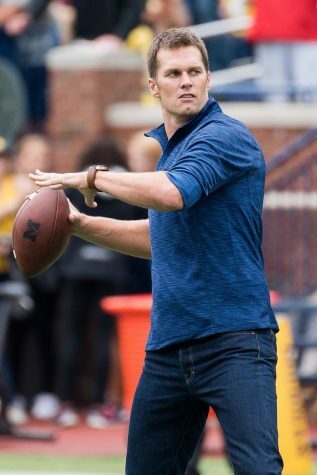 The Spartans looked poised to take an early lead after driving down the field until quarterback Rob Cuda threw his second interception of the season, leaving a bitter taste in the crowd’s mouth. The aftertaste didn’t last long, however, as a quick three and out from the defense gave CWRU the chance to draw first blood. A promising drive was ruined when fullback Adam Hochman fumbled at the Saints’ 29-yard line as a wave of disappointment rushed over the crowd. A few big plays and a score later, all the momentum was with the visitors, a rarity at DiSanto Field. 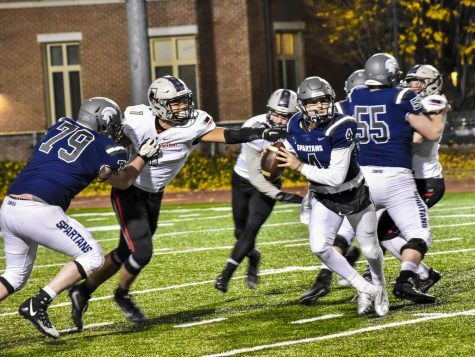 CWRU then began building momentum scoring 19 unanswered points. Most drives ended disappointingly, though, as the offense was forced to kick field goals, leaving Thomas More in the game. The crowd grew antsy, a sign of things to come, as they knew the Saints could easily come marching back. Standing the whole second half, the student section was rocking after the Spartans blocked a Saints’ field goal attempt and proceeded to march down the field again. With the Spartans down one in the fourth quarter, a quick string of events epitomized a fan’s experience during the game. 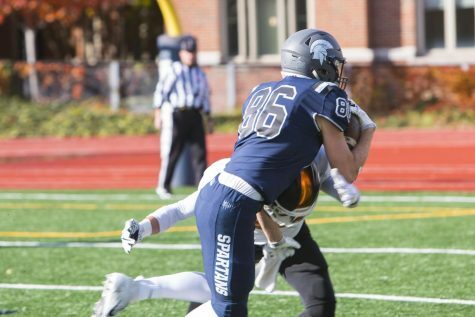 A Cuda touchdown run gave CWRU the lead, but on the ensuing two-point conversion attempt the Saints recovered a fumble and improbably ran it back for two points of their own. Most of the energy of the crowd, which was at its peak following the score, disappeared, until they remembered the home team was still leading. They rallied behind the defense, who picked off the Saints’ quarterback in the end zone, increasing the sound levels of the stadium significantly. There was sharp contrast following the very next play, as a Spartan fumble gave the Saints the ball at the four-yard line. On one side of the bleachers, a pin drop could be heard, while the Saints’ fans hollered as loudly as they could. After stopping the run mere inches from the goal line, Spartans’ fans held on to hope that perhaps they could hold the lead. But hope can only get you so far, fans realized as the Saints ran for a touchdown. Perhaps Cuda could lead the team down the field to win the game, a fitting ending to the championship bout, many fans believed. His third interception of the game ended all hope, quieting the home crowd for the final time. The only sounds in the stadium were from Thomas More players and fans as they celebrated their victory on the Spartans’ home field, disappointing home fans as they left, dreaming of what could have been. As they left the stadium disappointed, watching another team revel in glory, CWRU fans were all thinking one thing: wait until next week.